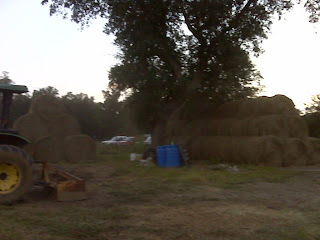 These photos were taken during late summer, early fall as we piled up hay for the winter. Our cows graze at will on grass all year. When the first killing frost comes, the grass stops growing. 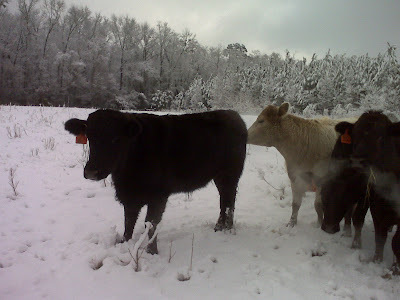 We plant some winter grazing, but don't have enough acreage to support them just on grass. 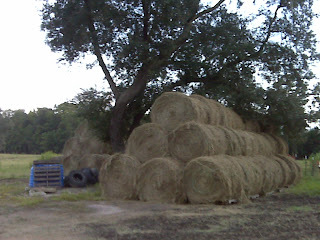 So we bale hay in summer, stack it, and cover it to feed the cows during the time the grass is dormant. The last photo shows what's left here as we end February! We do have other stores of hay, so don't worry, they won't go hungry! But it does explain why farmers have the biggest smiles when the first warm days of spring begin. Check out this map on deer breeding season . 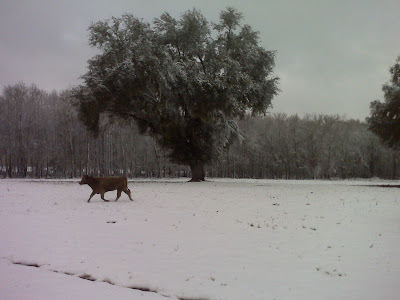 The article mentions that although the dates of the breeding season don't vary greatly, the weather impacts deer movement significantly. We find that to be especially true. However, I'm not sure if we're measuring deer movement or human movement. When it's cooler, folks go hunting. For years, we've tried to guess when we'd be busiest. It's vital for us to be able to anticipate our busy days in order to call in skinners and schedule shifts. We've looked at moon phases, tides, temperatures, rut cycles, you name it. Then one year, Atlanta was in the World Series and business was dead for a week. We'd been tracking the wrong animal. We need maps on the American male! 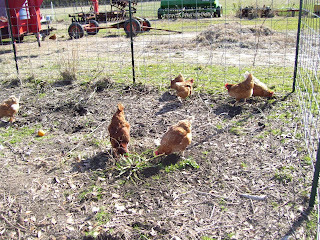 We've opened up the garden spot getting ready for spring and the hens are doing double duty. No pun intended. They're scratching and eating whatever bugs are coming out this warm afternoon while their poops help with the organic fertilizing. Now I've got to convince them that once we plant some sweet little plants, they're not to munch on those. I'm hoping a little chicken wire will do the job. We took a trip to the National Farm Equipment Show in Kentucky to look at how the Big Boys do farms! I am always amazed at the HUGE equipment that the big corporate farms use. We go to the show every now and then, and come back home thinking we are really small, maybe even minuscule farmers! 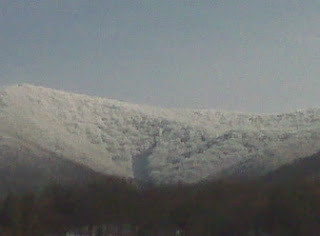 The trip was gorgeous, running through miles and miles of snow covered mountains. 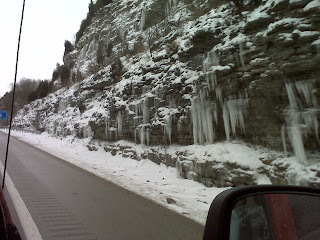 We even saw an elk grazing beside the Interstate in Tennessee! You know we had to turn around at the next exit to go back to see that one! I'm not great with the camera and big trucks were whizzing by, but this guy was huge. You know Michael was calculating how much cube steak this fellow would make? Maybe we should call him Sunday? 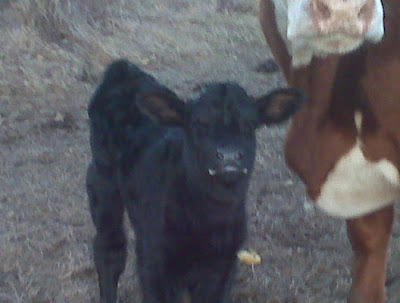 We're really don't name them, but this little guy was born yesterday. He was a little confused and kept heading to one white cow after another. He met with some gentle nudges, and also dodged a few quick kicks! Like the cows, they ran around all morning! Just bear with me... 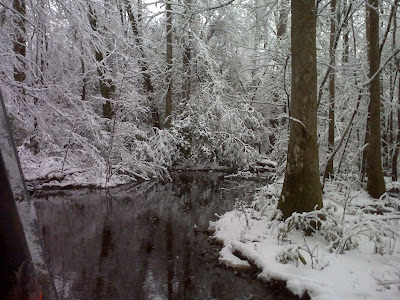 I love these snow pictures. Michael took some snow photos early in the morning. I just love them. We all enjoyed our day of winter snow last week! 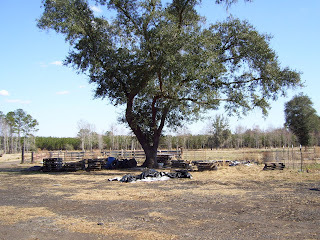 The cows seemed to realize this was an unusual occurrence! They kept looking up and running around. Didn't see any making snow angels, though!